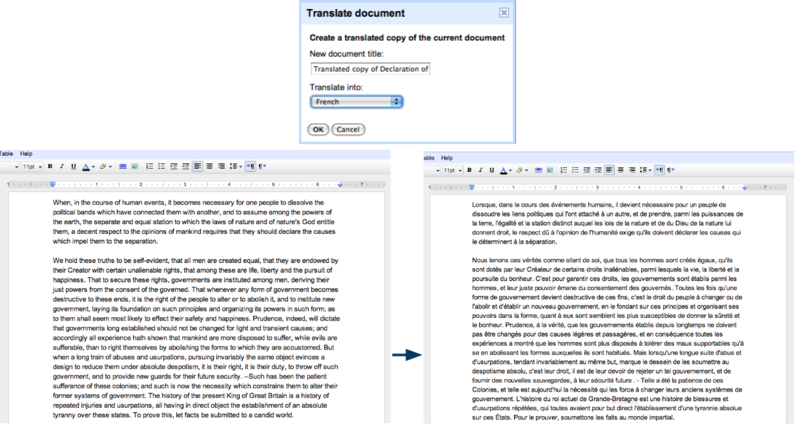 You can now translate your documents in the new editor into one of the 53 Google Docs languages by selecting Tools -> Translate document.... From there, you can create a translated copy of the document by choosing a title for the translated document and selecting the language you want to translate into. 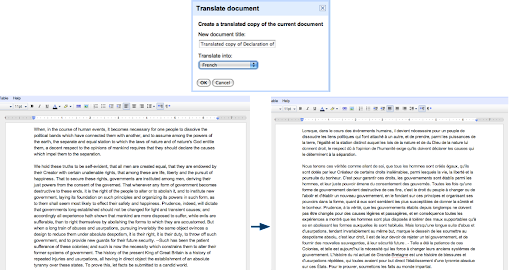 When you type a quote character (') in Google Docs we automatically make it a smartquote (‘) which indicates its direction. If you don’t want a smart quote, you can press Ctrl Z (Cmd Z on a Mac) after you type it and the smartquote will become a regular quote. We’ll be adding a preference soon that lets you permanently disable smartquotes. Let us know what you think on the forums.